Culinary historian Karen Hess died yesterday in Manhattan a week after suffering from a stroke. Eric Asimov wrote a nice obituary is today's Times about her life and work. She is best known for co-authoring with her husband John Hess on The Taste of America. The Library also has all her other books, plus an interesting review of Taste of America from the Times when the book came out. 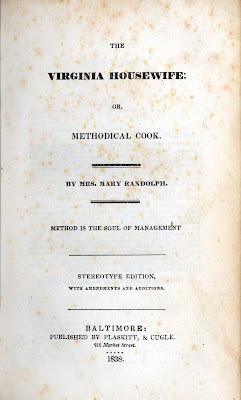 She is also known for her work annotating Mary Randolph's Virigina House-wife Cookbook.